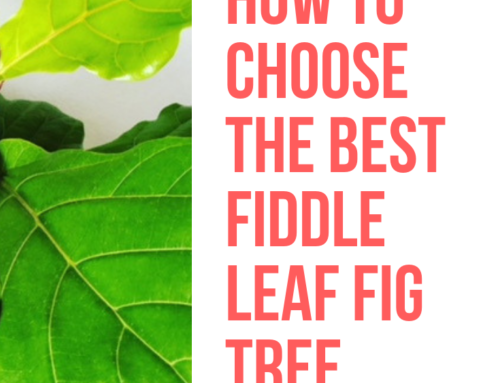 The most common cause of disease and death in fiddle leaf fig plants is root rot. 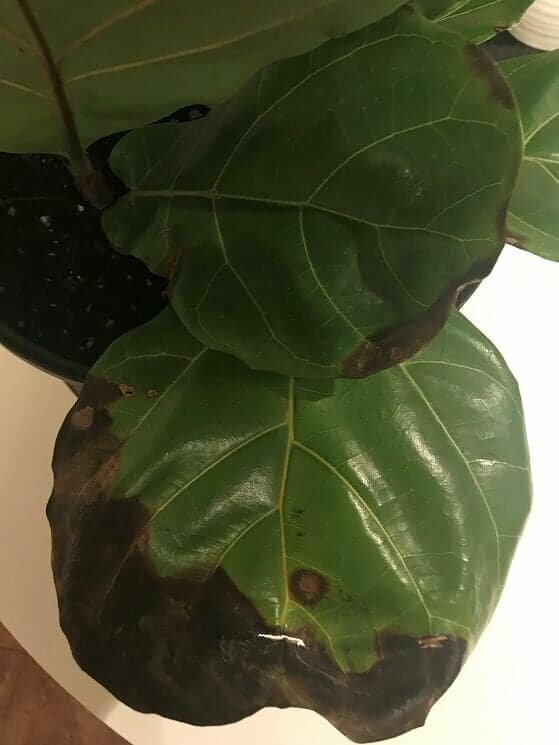 It’s the reason that fiddle leaf figs get brown spots and drop their leaves, and it can kill your plant in a matter of days or weeks. Your gorgeous plant or tree can go from thriving to dropping all of its leaves almost overnight. What’s worse is that root rot isn’t traditionally easy to treat. There are many causes of root rot, including fungal and bacterial. And because it lives in the soil and roots of your plant, it can be hard to eradicate. Here’s everything you need to know about diagnosing, preventing, and treating root rot in fiddle leaf figs. 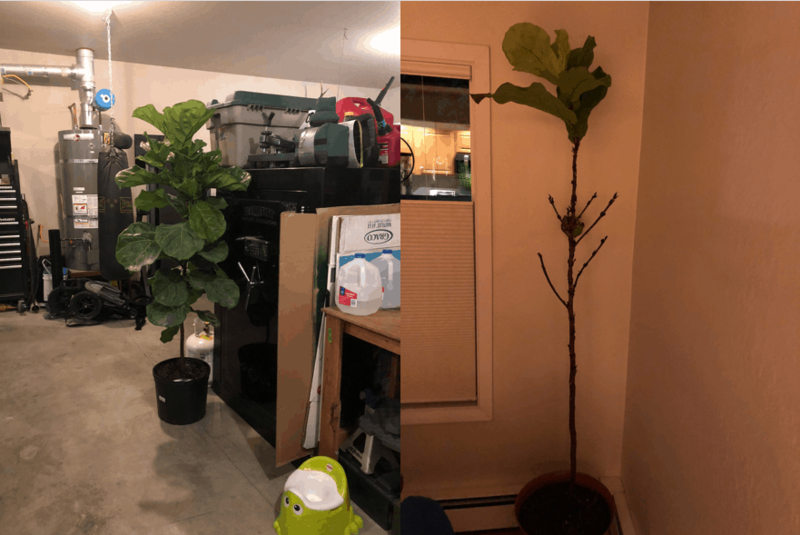 What Causes Root Rot in Fiddle Leaf Figs? Root rot is common in many houseplants, but is particularly prevalent in fiddle leaf figs, also known as ficus lyrata. 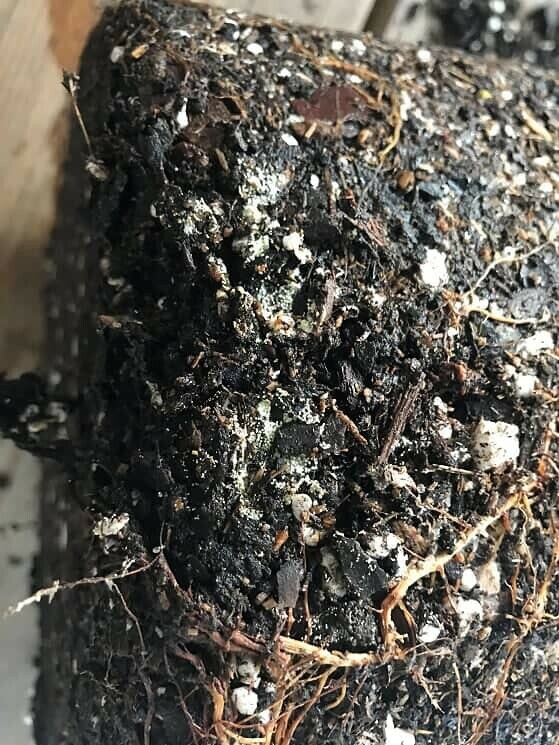 The disease is caused by bacteria, fungi, and fungus-like organisms, resulting in root decay that compromises your plant’s ability to take in nutrients. These organisms are typically natural inhabitants of soil and can survive underground indefinitely. They may lie dormant in your plant’s soil until overwatering or poor drainage conditions allow them to flourish and attack. When root rot sets in, your fiddle leaf fig may start with small brown spots on its leaves. These spots can appear as medium brown to dark brown or black. 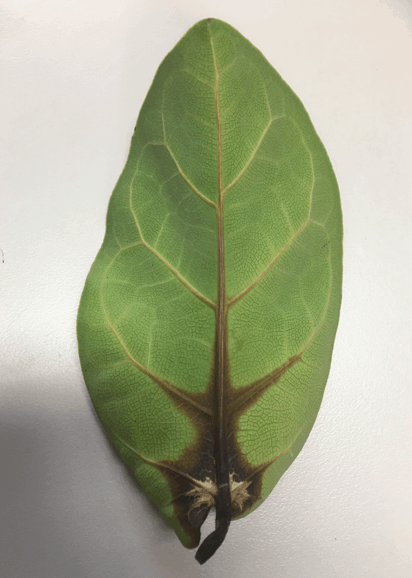 They may start at the base of the leaf near the stem (more likely for fungal root rot) or near the edges of the leaf, working their way inward. Some root rot infections will start as brown spots on the middle of a leaf, like the spots on a dalmatian dog. Roots affected by root rot will be dark and feel mushy compared to the firm and pliable roots of a healthy plant. 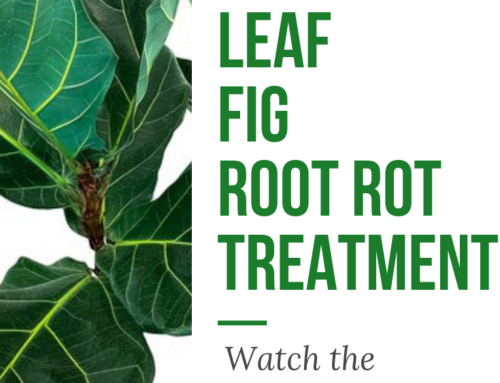 A fiddle leaf fig that has brown spots and is dropping leaves is likely affected by root rot. In an effort to save itself, your plant may shed the diseased leaves until it has no leaves left. 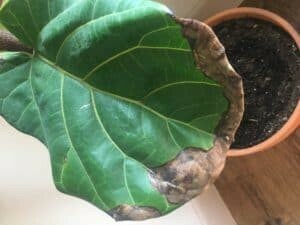 To start treating or protecting your fiddle leaf fig from root rot, it’s helpful to know what is causing the disease. 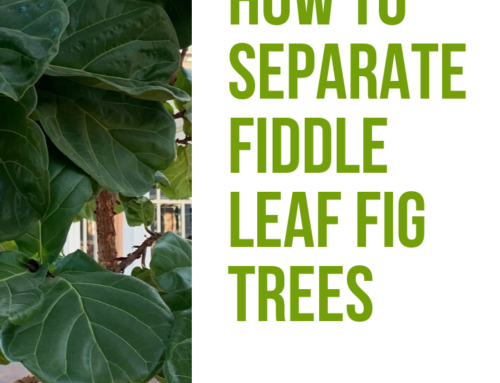 Treating root rot is complex, since there are quite a few organisms that cause the disease in fiddle leaf figs, specifically pythium and phytophthora. These organisms are not considered to be true fungi, but rather members of the oomycetes, which are fungus-like organisms. This means that the treatment approach will be different than with traditional fungi such as Rhizoctonia and Thielaviopsis, which affect other houseplants. Pythium is one of the most common causes of root rot in fiddle leaf figs. It is not a specific disease, but a family that includes about 125 species. Dropping leaves and stem rot are common symptoms caused by Pythium. Phytophthora is another group of organisms responsible for root rot. It is considered more aggressive and deadly than Pythium but thankfully is encountered less frequently. Pythium and Phytophthora thrive when soil moisture is abundant. This happens when your fiddle leaf fig is overwatered or does not have adequate drainage. That’s one reason that fast-draining potting soil and very good drainage are essential to the care of fiddle leaf figs. During an infection, the root rot organism invades the root system, hampering root function and starving the plant of valuable nutrients. This is why yellowing is often seen with root rot as well as lack of fertilizer; they are both scenarios where your fiddle leaf fig is starving. Is Root Rot Contagious to Other Plants? 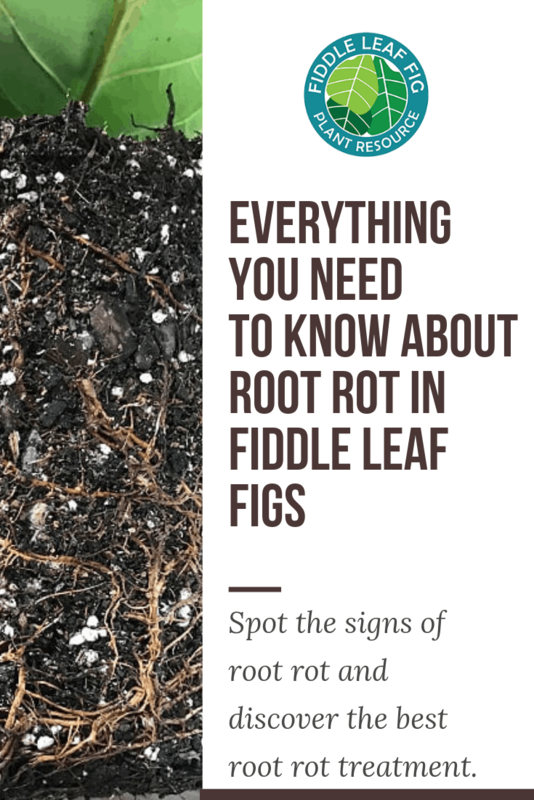 If untreated, root rot will not only kill your precious fiddle leaf fig, but it can spread over time, contaminating other plants in your home. 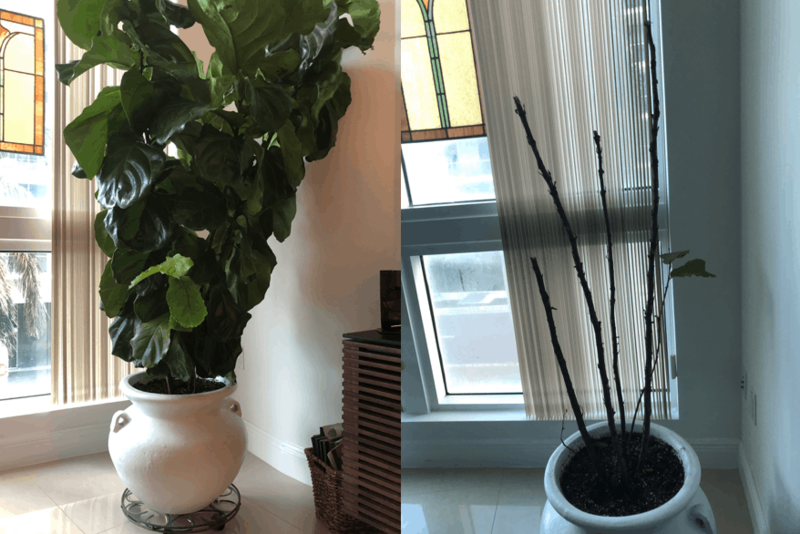 I had one severe Phytophthora infection that killed all of the plants in my master bedroom within a few weeks, including incredibly hardy pothos and Chinese evergreens. It was heartbreaking. The best prevention against root rot is to avoid overwatering and improve soil drainage. Fiddle leaf figs love fast-draining soil so that their roots can stay relatively dry and breathe. Try a mix of houseplant soil and cactus mix to make sure your plant’s soil doesn’t stay too wet. Remember, root rot organisms live in wet soil. By allowing the roots to dry out between waterings, the offending pathogens will stay dormant and be unable to attack your root system. 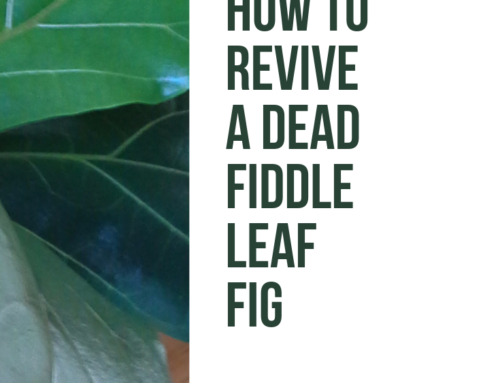 If you notice symptoms of root rot in your fiddle leaf fig, you’ll want to act quickly, as the damage will never be repaired. The first step is to fix the overwatering or drainage problems that started the infection. If you think your plant has poor drainage, repot into a better draining container or faster draining soil. Not sure if the soil is dry? Stick your finger 1-2 inches into the soil to check, or you can always use a moisture meter. If it’s wet, keep waiting for it to dry out. 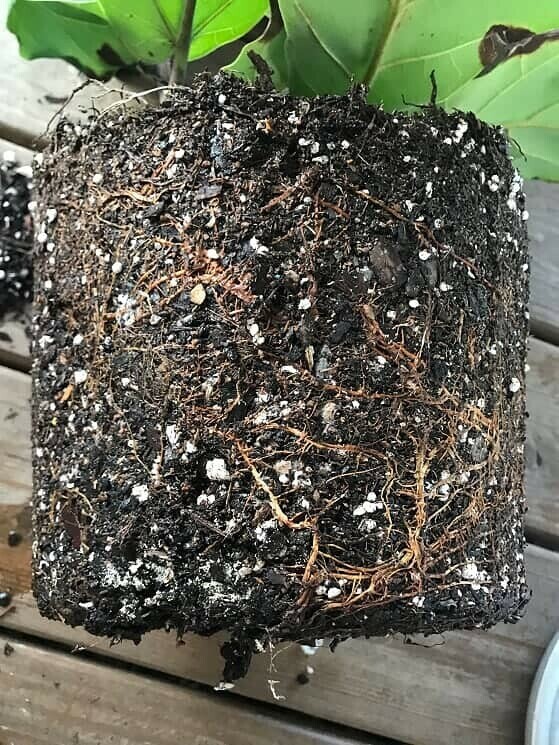 In some cases, the plant will need to be removed from the soil and replanted in new soil, taking care to remove the rotted parts of the root system. If the roots are mushy, you’ll want to cut away any infected sections by pruning the root ball. 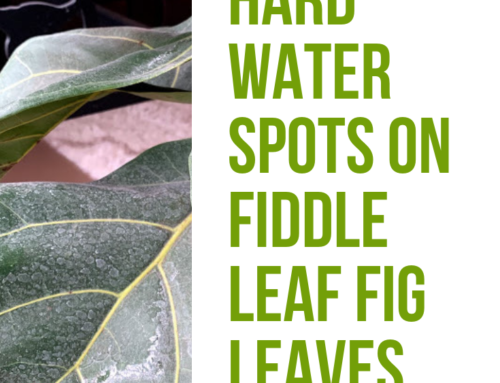 If your fiddle leaf fig’s leaves have brown spots, you’ll want to remove the sick leaves. Next, allow the soil to thoroughly dry out between waterings. When you let the soil dry out, the pathogens will recede from the roots and allow the system to rejuvenate itself. Benson, D. M. 1982. Phytophthora Root Rot. Phytophthora cinnamomi and Rhododendron Diseases In Diseases of Woody Ornamental Plants and Their Control in Nurseries.